Over Xmas, we shared with you our handwritten children’s book, for all the children (still) living in us. 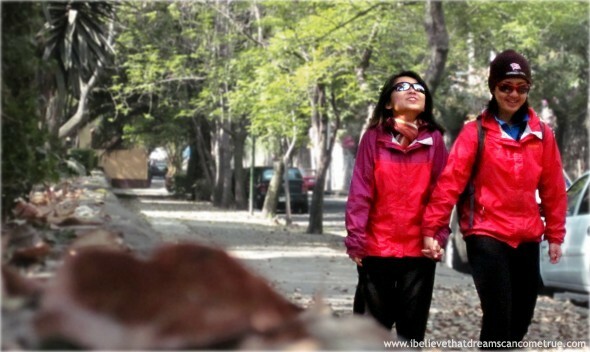 It has been 280 Days on this journey of “One Dream Shared, One Dream Inspired”. 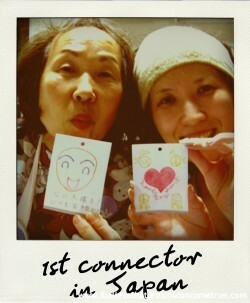 We’ve had 30 official sharing sessions so far – 7 in Taiwan, 19 in Japan, 3 in Molokai, 1 in Mexico. We collected 500 drawings of dreams in Japan and held 1 exhibition. 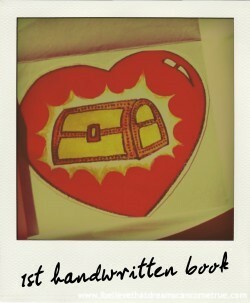 We handwritten 1 book entitled, “The Treasure In Our Hearts”. 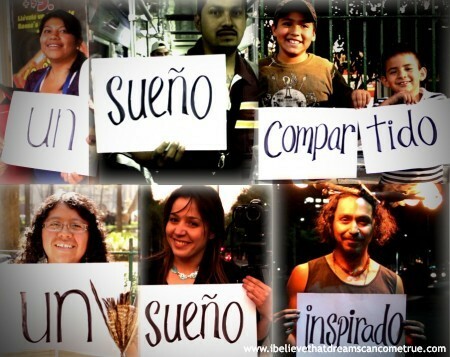 In total, we have collected 1117 dreams from friends, strangers, individuals and families. Indeed, the date 30.03.2010 wouldn’t have any meaning to us if not for Clarence who gifted us our air tickets to enable us to set off. The last 280 days had been so precious because we’ve had a roof over our heads, a warm shower and at least a hot meal, every single day. 30 sharing sessions – sharing laughter, tears, dreams and stories that get passed on…and on; even after we’ve left the country. The 500 drawings are special because they bridged the language gap between us and Japan, and told beautiful stories of hopes and aspirations. The 1 handwritten book that has been translated to Japanese and Spanish by adults, because they have remembered that what makes them happy lies within, not without. 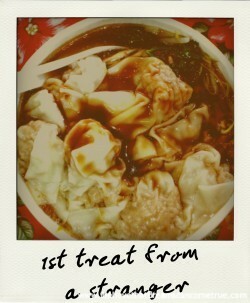 We began our project over a simple dinner with 6 friends. We were merely “testing waters” – to see if simply by sharing, would one dream inspire another? Today, Jayne has successfully launched her belly dancing classes, Sin Yee is now flying all over the world, Alex has a second restaurant opened and Derrick had left for his dream career. Whenever we share this story, people asked, “What did you do to them?” Actually, we want you to know – they sparked us off. Their first steps gave us the courage to take our second steps, and the next step, and then the next step… Whenever we wanted to throw our hands up and say, “We quit!”, we’d look at each of these six friends, and see how they are still going steadily on – how Jayne goes for her classes, regardless if there’s only 1 or even zero sign-ups that day; how Sin Yee has travelled yet another country… and we’d say, “Ok, one more step!” For your perseverance that has kept us going, for your initial sparks that has helped us laid the first layer of dreams – thank you. We said our goodbyes over good beginnings at our Farewell Dinner Fundraiser. That night, we opened the floor with a song and painting, both entitled “開始 (Beginning)” for fellow friends and dreamers to take their first steps towards realising their dreams. That night, we put ourselves out there to live as examples, so that others could live their examples, too. For your courage of selflessly sharing parts of yourselves with us and everyone else, for opening the stage that has spread itself on this website over the last year – thank you. The excitement and anticipation for the project with Luo Papa wore off after the first week we arrived at his homestay. Instead, we begun seeing the uncertainties that laid ahead of us. 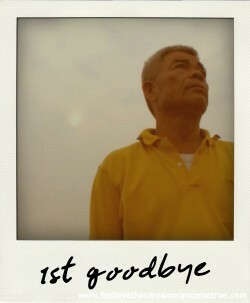 The second week, Koh, our volunteer camera man arrived and he brought us on our first cycling trip to the next town. In the same week, we had visits from our sponsors from Polar, YY and Eugene. 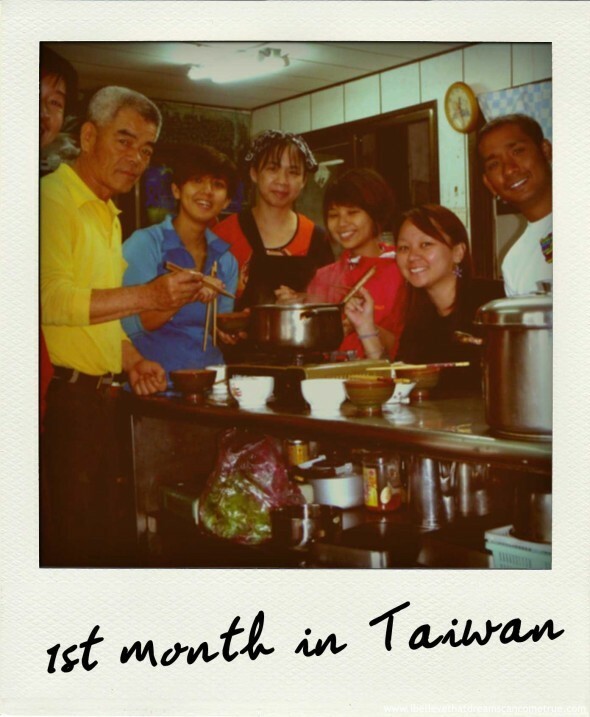 They adjusted their travel itineraries in Taiwan so that they could “stop by at the legendary Luo Papa’s and 順便 (at the same time) check in on us” – made sure our Polar equipment survived the plane ride, gave us extra batteries and spare parts… and they went out of town to buy us comfort food – chocolate bars! For the many hot soups we shared at Luo Papa’s, for the combined fight against mozzies, for the hugs and “Jia You!” before you left…and above all of that, for the ongoing support and friendship from the very first day you agreed to “join us” on this crazy adventure – thank you. 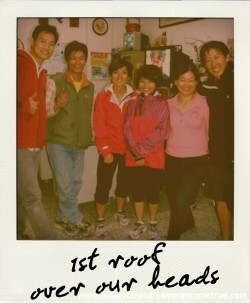 We met 錦松 (Jin Song) on our cycling trip up to Hao Wang Jiao in Taiwan. It was our first cycling trip up a (little) mountain; and he was the first stranger who spoke to us and then openly shared his dreams with us over lunch – his treat. This stranger very quickly became a friend, who’d ride his bicycle from 2 towns away to Luo Papa’s over the weekend, just to say hi. Who’d insisted on showing us “the best food in this little village” and “all on me (him)!”. Who’d write us ever so often, asking us how we are, and if there’s anything he could do for us… and then sharing progresses about him and his journey towards his dream. For the friendship formed over a meal and your open sharing, we give thanks to every breakfast, lunch, dinner, even supper that is gifted to us, from strangers turned friend – thank you. A 9 year old child we met on Molokai told us, “You must be very brave girls! Your journey is filled with hellos, friendships…and then goodbyes.” In that moment, we silently gave thanks to you, Luo Papa. You were the “Papa” who moved us out of our comfort zones and spirited us into this journey. You were also our very first goodbye, our first lesson in this journey – that our jobs are not to fulfill people’s dreams; it is each individual’s journey to take. Our jobs, are to keep sharing our story – of love, of life, of hope. Luo Papa, you taught us that goodbyes are said, so as to give way to the next chapter, the next beginning… only then, can the whole story be told. Here’s to our first goodbye – thank you. At the US Customs at Honolulu, the officer asked us, “What do you mean by you are Couchsurfing? Why would anyone let you stay at his house for free?! ?” We had to bite our tongues to not answer back, “Why not? And a piping hot dinner is usually included, too.” Then again, we had the same doubts the very first time to contacted Jonathan through Couchsurfing. The fact that he gave us his address without second or third questions beyond, “When are you arriving?” caused us to be suspicious ourselves – Is it going to be safe? Could he be waiting for us with a gang to kidnap us? Trust us, our imaginations were all over the place. And then put right back to place when Jonathan and his family greeted us warmly and invited us to have dinner with them, just… “be a part of the family”. Jonathan said, “You don’t have to feel uneasy or paiseh (shy). By being our guests, you have brought Singapore to my mum. My mum can’t travel around the world; but through Couchsurfing, the world comes to her dining table!” For your first opened door that later opened many more doors for us, for last 280 nights of safe, sheltered sleeps – thank you. Helen, a teacher we met through Couchsurfing offered to bring us to a school she volunteers because “the children would be excited to meet foreigners!” A short introduction about us and the project later, we were pushed to the front of the auditorium with, “Now’s your turn to share your story. Go! Jia You!” Helen, did we tell you how unprepared we were? Did we tell you you had more faith in us than we did ourselves? That day, a girl who initially declared that she has no dreams wrote on her hand at the end of the sharing session, “I will find MY dream”. For that faith, that girl, and the many more school children we had the privilege to meet and share our stories with, who inspire us further so that we can remind the adults we meet – thank you. “Coffee’s on me. And you should meet the boss.” That was how we met Match Cafe and its “family”. 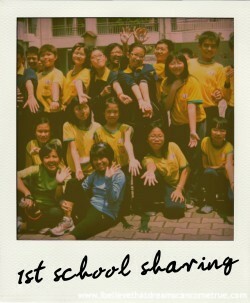 That was how our first sharing session with adults happened. The boss of Match Cafe printed our first dream cards – 100 for each of you; and may you inspire many more beyond. He also said, “A dream is made up of many small steps. Everyone gives a little. And little by little, a dream is built.” For that one step you contributed, that helped us step into many more lives and tell many more stories – thank you. “Maki and I love children. We have 2 children – Sakurako and Shuntaro. 2 more – Tay and Val, same!” “I will keep your chopsticks for you.” The infamous 2 sentences from Mama Yuri of the Maki family. People told us, “Japanese would never open their doors to you. Leave – ASAP!” To the doors, and the hearts of the countless families who have adopted us on this journey, who gave us homes away from home, from “自己人 (our people)!” in Taiwan to “Okaeri (welcome home)!” in Japan, to “You are family!” in Molokai, to “Mi casa e tu casa (my home is your home)!” in Mexico – thank you. “In Japan, you need connections.” And ours showed up in the form of big curly hair with even bigger sunglasses. And did we mention the bright red shoes, bling denim jacket and even brighter orange notebook? Hiromi, for your selfless sharing, from business contacts, to friends to even your Mum! For connecting us to a network wide enough to build a “solar system of dreams”, and for the love that spreads wider than that – thank you. “No one in Japan will stop and draw for you. Everyone is too busy.” Yet on the last weekend of our journey in Japan, we hung up no less than 500 dreams on the trees in Yoyogi park. We had our very first exhibition. And on that day itself, families came up to us and submitted their drawings to be hung on the trees. The drawings are now exhibited in the Hui Ho’Olana Gallery, waiting for buyers and benefits to go into a children’s fund – pay it forward. 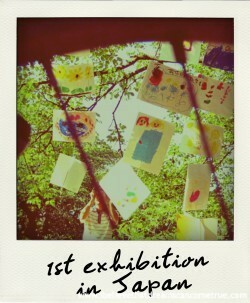 We never knew we’d have an exhibition. But now we know it won’t be the last. For that, and the many more pay-it-forwards to come – thank you. There is a book in everyone. There really is. 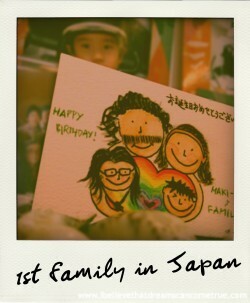 Ours was made out of paper, glue, photos (all bought at the famous 100Yen shops) and a lot of heart. 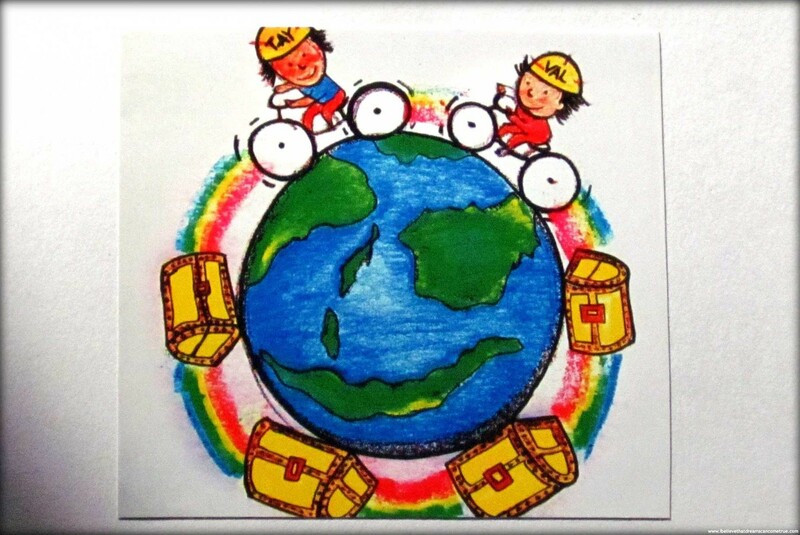 One copy of the book, to travel around the world, to be shared with many many more children. To the children who inspired this book, to the children in us who allowed this book to be handwritten, to the beautiful translations coming in, to the treasures in our hearts – thank you. 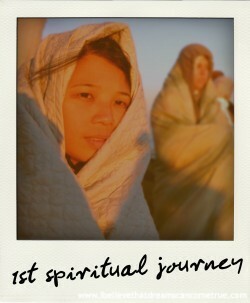 This photo was taken on top of Haleakala, at the moment of the most magnificent sunrise the both of us had ever seen. There we were, 12000 feet above sea level, on a sacred volcano on Maui, sharing a sunrise with an age-old sun greeting oli (Hawaiian chant). Within moments, the sun was up, the oli ended, and the crowd dispersed. A moment held so sacred, so magical – gone. But left behind with us, the reminder that life is made up of moments. 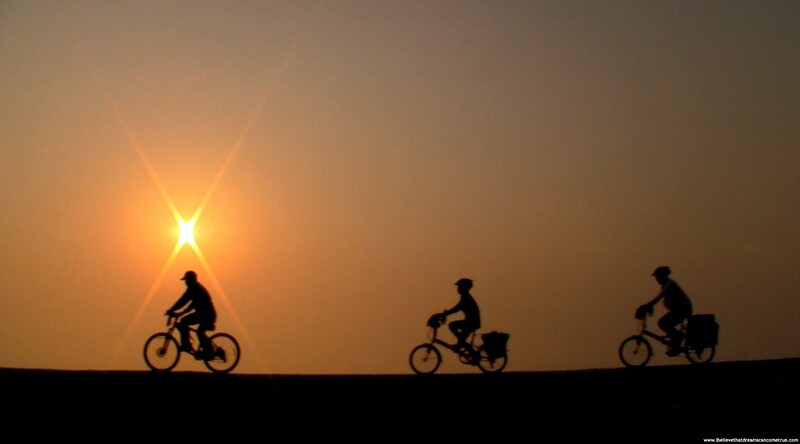 And initiated for us, our 1st spiritual journey, our journey inwards, on this journey to cycle around the world. During our sharing session on Molokai, a lady came up to us and said, “Thank you for allowing yourselves to be so vulnerable, so raw in front of us, and sharing your stories from a place so much deeper within.” To Molokai and the beautiful spirits who showed us that this journey can be a spiritual one, too, we want to say, “Thank you for holding space for us to be vulnerable, to be raw…to just be.” For your graciousness and humbling teachers that help us share with deeper intentions from this point onwards – Mahalo. People have always asked us, “You share with us Luo Papa’s dream and how it sparked off this journey. So what’s your dream?” In the beginning (like in Taiwan days), we’d embarrassingly return with blank stares. It’s not because we didn’t know what our dreams are. We want to be the best story-tellers in the world – Val through acting, Tay through directing. 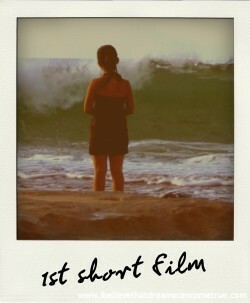 And people would then ask, “Then why are you on this journey?” So happened our first zero budget short film – a story borne out of our silent retreat on Molokai, a cast of 5 volunteers who also doubled up as crew and voice-overs. Did it make the story any lesser? We’d let our videos speak for themselves. For the gift of story-telling – thank you. Xmas is a season of giving and reunions and warm and fuzzy feelings. 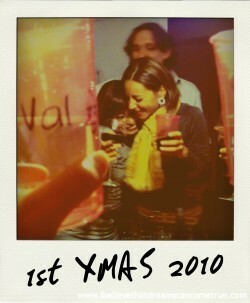 We met our current hosts Hugo and Lula 2 years ago on a work trip to film how Mexicans celebrate Xmas. That was the first time Hugo and Lula celebrated Xmas with their entire extended family. This year, Hugo said to us, “You know, we only celebrate Xmas in Mexico when Val and Tay are with us!” And so we did, with Hugo and Lula, and a whole big group of family and friends. For this first Xmas on this journey that had filled us with more warmth than all other Xmases combined – thank you. To all the numerous first steps we’ve had throughout this journey, that have kept us taking one more step each day, each moment – we count our blessings and say, “Thank You”. …and we take one more step, share one more story, make one more video and hopefully, inspire one more dream. This entry was posted on Monday, January 3rd, 2011 at 9:22 AM. It is filed under Featured, Healing and Growth, Inspiring Dreams, Life's Moments, Mexico, Our Journey, Reflections, Soul Food. You can follow any responses to this entry through the RSS 2.0 feed.